Too cute! 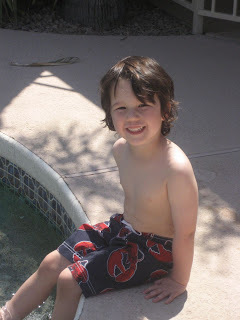 I can't wait to see what Brandt does in the pool this summer, since last year he didn't really know what was going on. I think I'll be taking him this week to the pool at our gym since it's heated ... I hope he likes it as much as Jackson does! 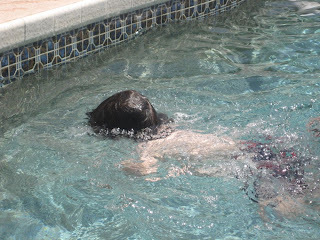 Did Jackson take swimming lessons? So cool you have a pool! Love the pool! Gotta get one of those!! !